Emily Savage just wanted to help out her injured aunt. 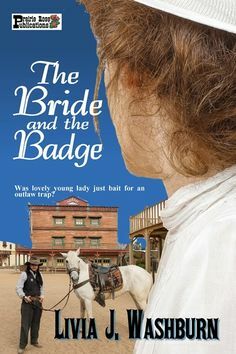 She never dreamed that she would wind up in the middle of a train robbery or being stalked by a charming but dangerous outlaw. Texas Ranger Nick Braddock had a grudge of his own against the desperado Clay Galloway, a tragic secret that went beyond Nick's desire to bring law and order to the Lone Star State. When Galloway's pursuit of Emily Savage involved Nick, he had even more of a reason to bring the outlaw to justice. At first, Emily is just the bait for the trap that will allow Nick to settle his score with Galloway at last. But she comes to mean more to him than that, and both of them will have to survive the fires of danger to discover what truly lies between them.